Jimmy Pham, an Australian-Vietnamese entrepreneur, was horrified to see how many homeless children were on the streets in Ho Chi Minh City when he visited in 1996. When he asked these kids what they wanted out of life, they told him they wanted a chance to learn a skill so they could work and find a path out of poverty. 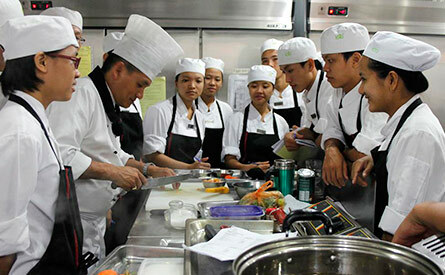 That encounter was the beginning of "Know One, Teach One" (KOTO), a non-profit organization that takes in homeless and disadvantaged Vietnamese youth ages 16–22, and provides them with a decent place to live, a formal education, and training in the hospitality and tourism industry in Vietnam. KOTO's working restaurants in Hanoi and Ho Chi Minh City are staffed by the youth, and profits go to support the project. Since 2008, our tour groups to Vietnam have enjoyed a visit to the KOTO restaurant in Hanoi, where they've been served lunch by young restauranteurs-in-training, courtesy of Friendly Planet. Heading to Vietnam? Support the KOTO project by enjoying a meal at one of their restaurants in Hanoi or Ho Chi Minh City. Or make a donation to support the project.